ZNP Youth President Lalmuanpuia Punte alleged that Lal Thanhawla concealed information regarding a plot of land he owned in Kolkata in the affidavit. 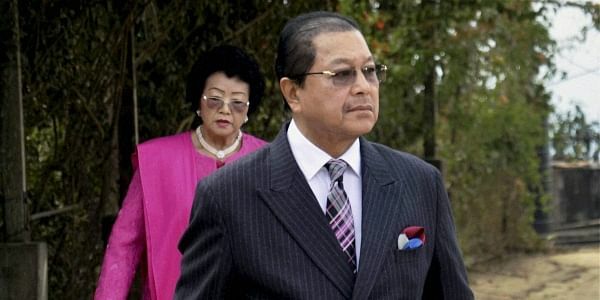 AIZAWL: Opposition Zoram Nationalist Party (ZNP) today demanded the resignation of Mizoram Chief Minister Lal Thanhawla for failing to give information about owning land in Kolkata and before the Election Commission orders him to resign. ZNP Youth President Lalmuanpuia Punte told reporters that Lal Thanhawla owned a plot of land in Kolkata where he is constructing a building. Punte alleged that while Lal Thanhawla registered the land in his name on August 30, 2013, he failed to mention it in the affidavit while filing nominations for the 2013 state assembly polls. "The chief minister, while filing nominations on November 8, 2013, failed to give information about owning a plot of land in Kolkata which contravened section 125 A of the Representation of the People Act, 1951," he said. Lal Thanhawla could be disqualified for concealing information and should resign before the EC disqualifies him, Punte added.